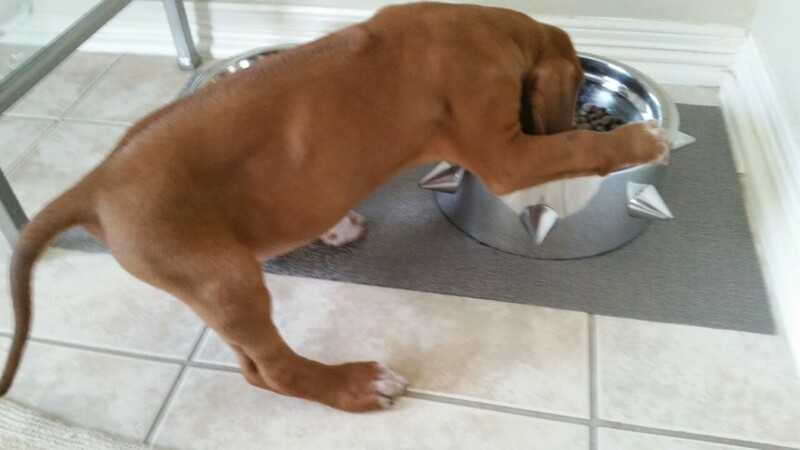 My mate Pete over in Houston has taken in a (permanent) lodger – a Ridgeback called Rooney. Rooney climbing into his bowl. We hope Rooney provides Pete & Sonja hours of fun. Just in case anyone wonders where the title comes from – Pete is Glaswegian by birth and it’s a reference to Rab C Nesbitt’s “Hands across the sea” bit with his Spanish counterpart.